Rich, dark, fudgy, and slightly chewy, these homemade brownies are always a hit, so much better than anything you can buy. Serve cold with a glass of milk, or warm from the oven with a scoop of ice cream. Like a simple black dress, they can be accessorized to match any occasion. For a casual snack, serve them right out of the pan. 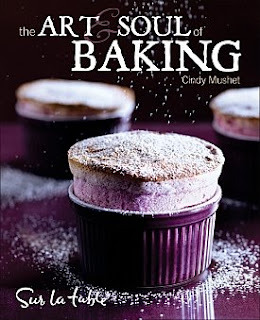 For something a bit dressier, dust the brownies with a layer of confectioners’ sugar, then use a stencil and cocoa powder for a contrasting design (see page 436). Inspired by Jackson Pollock? Drizzle melted dark chocolate (or dark, milk, and/or white chocolates) wildly over the top. For a very special occasion, paint a message or design right onto the brownies using gold luster dust (see page 436) or frost them with a layer of Dark Chocolate Ganache (page 412) accented with the elegance of gold leaf (page 436). 1 Preheat the oven to 350°F and position an oven rack in the center. Line the pan with foil or parchment paper across the bottom and up two of the sides, then lightly coat with unflavored oil or high-heat canola-oil spray. 2 Bring 2 inches of water to a boil in the bottom of a double boiler. Place the butter, semisweet chocolate, and unsweetened chocolate in the top of the double boiler (off the heat). Turn off the heat, then set the butter and chocolate over the steaming water. Stir occasionally with the spatula until the chocolate is melted and the mixture is smooth. 3 Remove the chocolate mixture from the heat and whisk in the sugar. Whisk in the eggs, one at a time, stirring well to incorporate each before adding the next. Stir in the vanilla extract. Whisk in the flour and salt. Continue to stir until the mixture changes from dull and broken-looking to smooth and shiny, about 1 minute. Whisk in the chocolate chips and chopped nuts, if using. 5 Run a thin knife or flexible spatula around the edges of the pan to loosen the brownies. To remove the brownies from the pan, grasp the foil or parchment paper extending up the sides and pull gently upward. Set the brownies on a cutting surface and use a chef’s knife to cut into 16 equal pieces. Since these are fudgy, it’s a good idea to keep a hot, wrung-out towel nearby so you can wipe the knife clean between slices. You could also serve the brownies right out of the pan, if you like, pressing a piece of plastic wrap against any cut surfaces and across the top to keep them fresh. Tightly wrap the remaining brownies in plastic or place in an airtight container. They will keep well at room temperature for 2 to 3 days, or in the refrigerator for up to 5 days. Chunks Omit the vanilla extract and add ¾ teaspoon pure mint extract instead. Do not use nuts or dark chocolate chips at the end of Step 3, but instead add 4 ounces of good quality white chocolate chopped into ¼-inch pieces. Bake and cool as directed above. Melt an additional 1 ½ ounces of white chocolate and pipe or stripe it over the top of the cooled brownies in any pattern you like (page 431). Let the white chocolate cool and harden before cutting the brownies. Use toasted pecans for the nuts and substitute mini chocolate chips for the larger chips or chunks. Use a spoon or small ice cream scoop to portion tablespoons of batter about 1 inch apart on parchment-lined baking sheets. Bake at 350°F for 8 to 10 minutes, rotating the sheet halfway through. The cookies won’t seem done, but will firm up as they cool. The tops should look matte instead of shiny—you may want to bake a few to get the timing right before you commit to the entire batch. Makes about 45 cookies. There are two types of brownies—fudgy and cakey. Fudgy brownies always begin with butter and chocolate melted together, which creates a dense, chewy texture. Cakey brownies begin with butter and sugar creamed together, and the chocolate is added later. The creaming step fills the batter with air, lightening it and making it more cake like in texture. You can change the style of your brownies by simply changing the mixing method to achieve the texture you want.